Hi all. I'm learning how to use Mastercam for a Wire EDM, and I'm trying to learn how to use the nesting toolpaths function efficiently. I guess my question is this: Is there a way to nest your toolpaths so that all of the thread points start outside of the stock? In other words, is there a way I can avoid putting in pre-drilled holes when using this feature? I would like to be able to nest toolpaths in a way that the Wire EDM threads at a(n) point/origin outside of the stock and is able to guide/maneuver around all the different nested toolpath geometry. I'm trying to avoid predrilled holes as much as possible to maintain the integrity of the stock infrastructure. Any help would be greatly appreciated! Thanks. 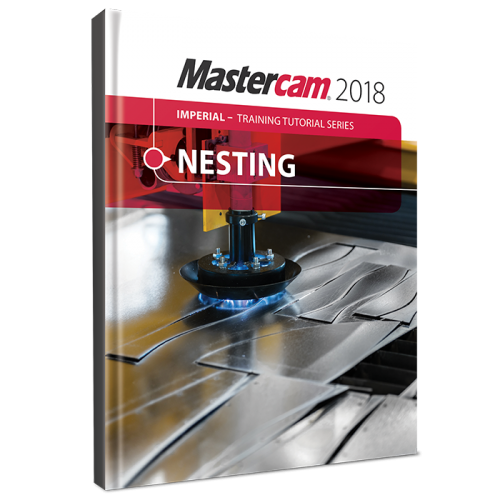 This tutorial includes a variety of projects that are using Nesting options in Mastercam to fit parts onto a sheet of material for best yield. You will learn how Nesting operates on geometry and how you can create and use tabs to assist in holding down the nested parts. You will also learn how Nesting operates on toolpaths and how you can use WCS (Work Coordinate System) to set the parts of an assembly in the proper view for machining. This sample is in color as it appears in the eBooks version. The print version is grey scale. 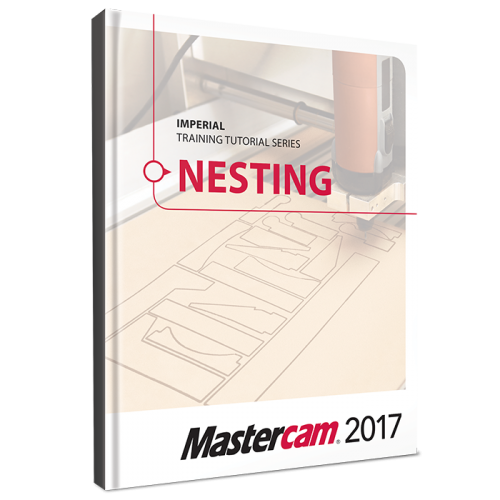 This tutorial includes a variety of projects that are using Nesting options in Mastercam to fit parts onto a sheet of material for best yield. You will learn how Nesting operates on geometry and how you can create and use tabs to assist in holding down the nested parts. You will also learn how Nesting operates on toolpaths and how you can use WCS (Work Coordinate System) to set the parts of an assembly in the proper view for machining. Hi guys, Can somebody help me with my issue? I need to nest toolpath from sveral files with defined toolpaths. I have some parts where are defined the toolpaths from both sides. But the toolpaths are in two operation groups. When I import the file as a cluste the operations are splited in two clusters. I am not able to join both together in one part. I have checked previous versions and it works well in X6. From X7 the same function "Add operations cluster from files" behaves a different way. Is there a setting for this? Any idea? Thanks. I am using the nesting command to get many different part on to one sheet as efficiently as possible. the problem i am running into is that several of the sheets have parts that are very similar, and after they are cut out it will be hard to identify which part is which. I would like to set up the machine to go through and write with a marker an identification number before the part is cut out. The problem i am running into is when I nest the writing command (either engraving or contour) with the contour command for the larger part, the writing command doesn't stay inside of the part, and is just nested on its own. any advice on how i can end up with labeled nested parts?